Renault has big plans for China, where the Koleos compact SUV (shown), is the brand's best-selling model. PARIS -- Renault, a latecomer to China, could sell up to 800,000 vehicles annually in the country, CEO Carlos Ghosn said. 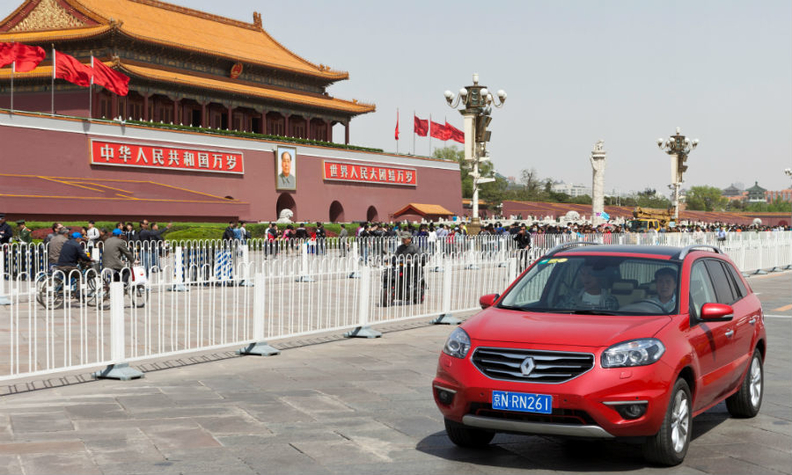 Renault will open a factory in Wuhan, China, with Dongfeng Motor in 2016. The plant will have an initial annual capacity of 150,000 units that can be doubled if there is enough local demand. Ghosn said an annual 800,000 sales volume is possible for the Renault brand, including locally built and imported vehicles. Renault sold 32,000 vehicles in China last year. "Renault has a 4 percent market share globally. It is a reasonable objective for Renault to reproduce this in China," Ghosn said on the sidelines of the Paris auto show. Ghosn said 4 percent of 20 million cars and LCVs is 800,000. He did not give a time frame for when Renault might reach 800,000 unit sales in the world’s biggest market. “There is only growth ahead of us” even if Chinese market conditions become difficult, Ghosn said. Renault plans to build two crossovers, a compact car and a midsize model in China. Ghosn does not expect that the automaker will have problems significantly ramping up production volume in China because the models Renault will build in China are based on common platforms with alliance partner Nissan. which already has a joint venture with Dongfeng. Nissan already a supply chain in place, Ghosn said. Renault has previously said its long-term annual sales target for China is 600,000 to 700,000 vehicles.